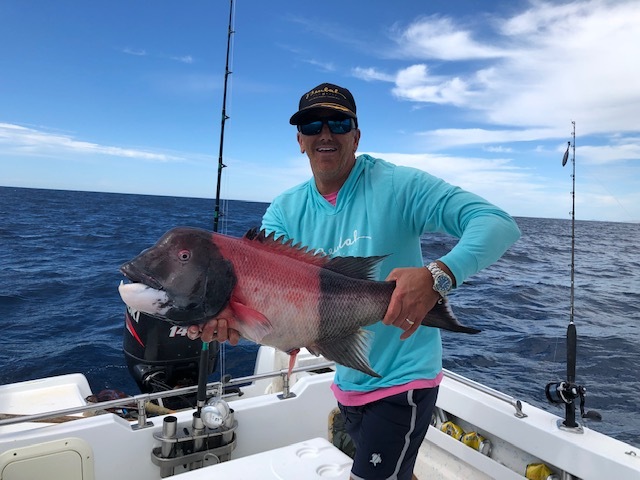 Discussion in 'Baja Mexico Fishing Reports and Discussion' started by markspra, Feb 1, 2019. Fished with Jaime on the Jessica this week. Every time I fish with him, I realize even more that he is the best around. He always has a plan to catch fish and always executes on the plan. Spent the morning catching the right skipjack bait and chased some very large tuna but ultimately we couldn't get one to bite. I knew it was not going to be easy but it was worth the chance and time. Went inshore on the way back in and got 3 yellowtail, 2 sheepheads and 2 snapper. 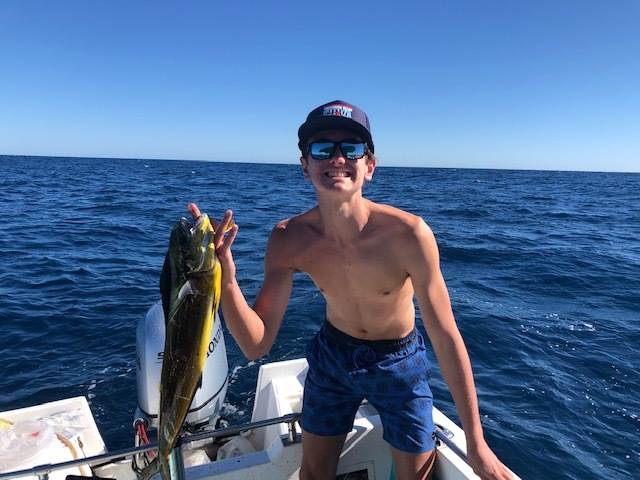 The yellowtail and sheephead were good size. Snuck my son out the next day for a quick trip out of San Jose in the afternoon and he got a little dorado. 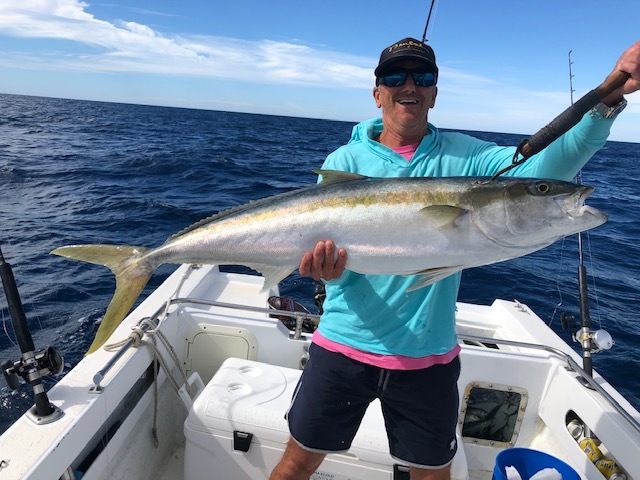 Seems that right now, spending the time to get the right bait (skipjack and mackerel) is worth the time and effort so when you do find the fish, you can get them to bite. Jaime was owrking all day catching bait as we were chasing the tuna. pescadorzih, repo805, mulegemike and 5 others like this. Good eats there. Your son looks happy! Thanks for the report. I gotta get down there soon. I've heard nothing but good things about Jaime and the Jessica. Leaving Monday for PV. Hoping the big tuna will bite! I am getting old and am tired of lugging my own gear through airports. What sort of tackle does Jaime have on his boat? 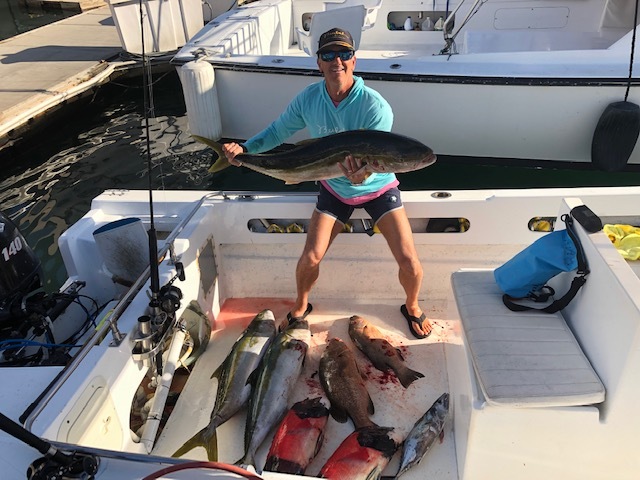 Jaime has great tackle from light stuff to reels and rods capable of big tuna. All in very good condition. Good line also. No need to bring anything in my opinion. the good stuff. Talica, avets, stella, etc. All you need to bring to fish with Jaime is a good attitude and he handles the rest.